"In Flanders field the poppies blow ..."
In memoriam of the millions who paid the supreme sacrifice in World War One. From David Wesley Tonkin's "Food for Thought" blog. In 1918 - on the 11th day of the 11th month at the 11th hour the First World War ended. It brought savage senseless death and unspeakable and inhuman suffering to an entire generation; millions of people of all races across the globe. It was supposed to be "the war to end all wars". It did not. Canadian army physician Lieutenant-Colonel John McCrae (1872 - 1918) wrote this epic and classic poem as a poignant reminder of the massive price humanity paid for this war. Dr. McCrae died of pneumonia near the end of the war at Boulogne-sur-Mer, in France. Previous wars had been "glamorized" as grand adventures in the print media of their time. The First World War is starkly and honestly depicted in pictures like these two - gas-blinded men trudging to an ambulance depot behind the lines and soldiers going "over the top" and marching into "no man's land" in a Flanders field to certain death on an icy morning. Is the Flanders Field of the poem a reality? Yes it is! The Battle of Flanders (French: Bataille des Flandres) is the name of several battles fought in Flanders (a region in northern France and Belgium) during the First World War. 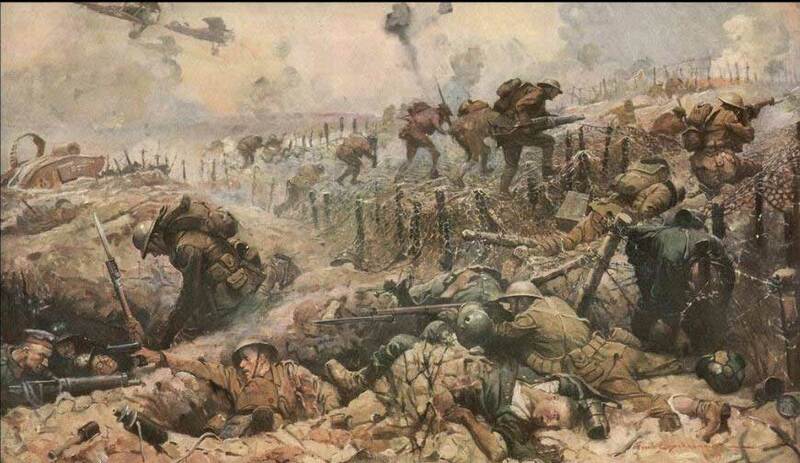 The First Battle of Flanders was fought between the 19th of October and the 22nd of November 1914. Nearly 500,000 Allied and German soldiers died during the Flanders campaigns. No significant ground was won or lost by the protagonists. We need to continually honor those who sacrificed so mightily for their countries and remember ... war is not a grand adventure. There are no winners.